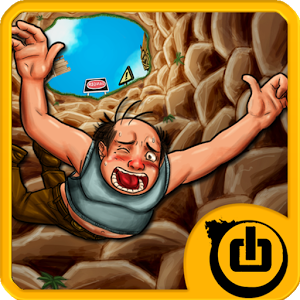 Fatal Fall by GAMELIC SRL - Android App Review. Android smartphones are there not only to provide communications and mobile office services but to entertain us. Entertainment can be consuming some media file (a music or video) or just playing a game. We can broadly divide game into two types. There are the huge, complicated, empire building, massively online, strategic, plan intensive game that require an hour of setup, resource building and factory allocations just to get things rolling and there are the simpler, rapid and instant gratification games. "Instant gratifications" (not what you are thinking!) are games we can run and play for three minutes before the next appointment, while waiting for the bus or waiting for the kid to finally free the bathroom. These are games that don't require massive setup and preparations to play. 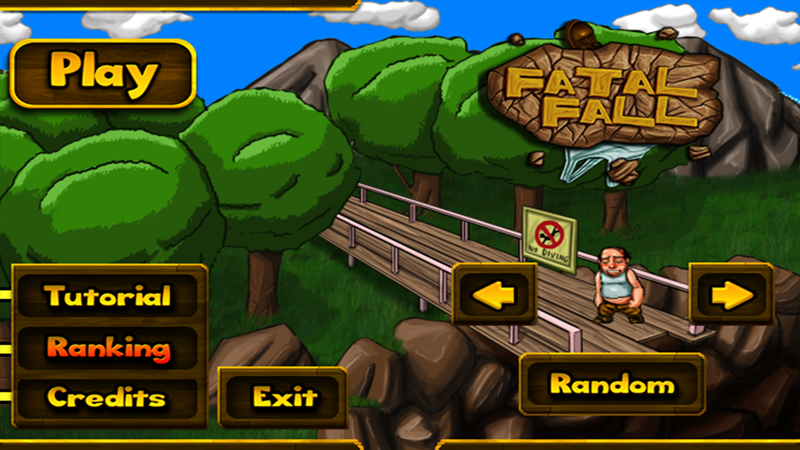 Fatal Fall is a platform game that falls exactly into the instant gratification genres. But does it really gratify? What is Fatal Fall all about? 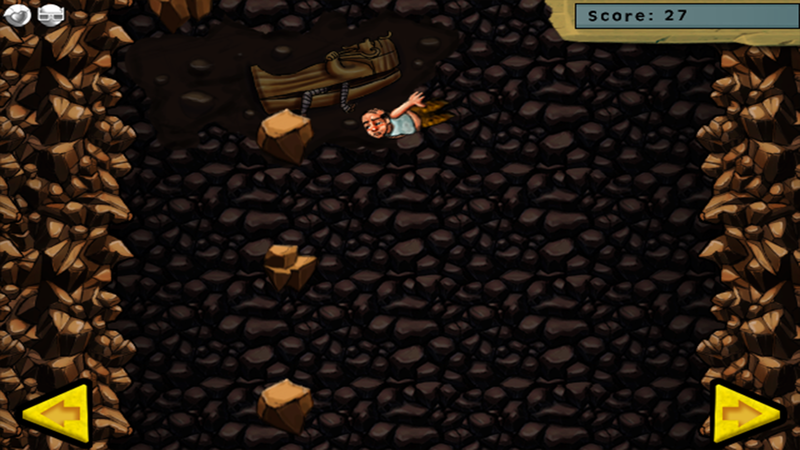 Jack who had a little too much to drink falls down an endless pit. He must avoid obstacles while falling and reach and collect power-ups. 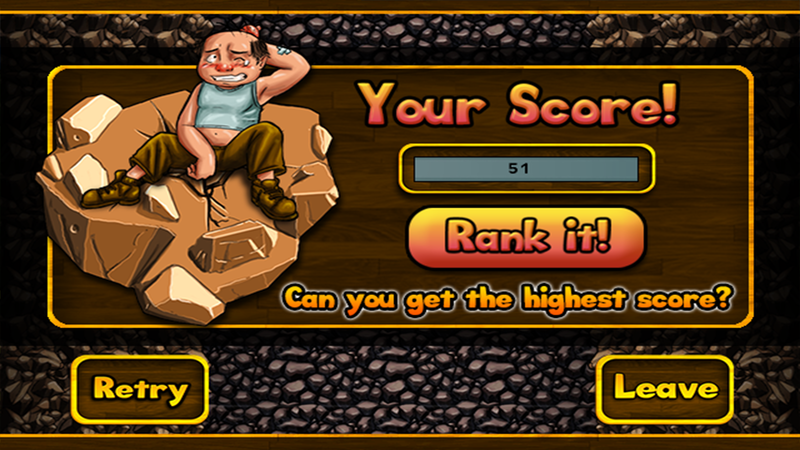 Control is through two arrows on the sides of the screen and during the game the rate of descent and the overall difficulty of the game increases. We gave the game to our loyal crowd of reviewers and sat back and waited for their reports. As usual, some of our reviewers are more tech savvy and some less, some younger and some older. The first thing almost all reviewers reported was that the game was fun and funny, which is not really a common occurrence. The story of the game, the character of Jack itself and the nature of his plight is quite funny and makes for very pleasant and fun game play. No blowing up, no violence and no resource collecting. Game play itself was also very simple. Just move Jack from side to side to avoid the obstacles and swim over (through air) to reach the power-ups. However, it must be remembered that game becomes harder and the speed of falling increases so the player must plan ahead to see where Jack will end up in. The stages are fairly long and winding and the player must remember to time his movements and power-up usage to allow Jack to successfully pass over the whole stage. The player must keep his or her edge and remember that the game becomes harder. Don't letup till it's over! Most of our reviewers enjoyed themselves immensely playing Fatal Fall. The game is fun, simple to understand and operate (no one had any problem playing) and the gradual increase in difficulty allows everyone to get used to the game and give a good account of themselves even on the tougher levels. Score: 4.7. It would be a 5.0 when an update with more levels and more types of levels appear (levels on the sea, flying up, space etc). Description: A platform game with a falling down character that must survive it's plummet down. Good Points: Simple and easy game play. Funny story and lot's of humor. Very easy to learn. Great difficulty curve (i.e. the rate the game becomes tougher). Bad Points: No tilt controls. Experience: All our reviewers found the game easy to understand and operate.The simplicity of the game does not detract from it's fun or challenge in the later stages. Longevity: Most kept the game installed as it is great way to pass a few minutes while waiting for something, or just wanting to have a fun quick game.